REAL Madrid lead the rankings of the European club coefficients at the end of 2018, while Spain's La Liga leads the league coefficients, according to UEFA. The Spanish club, winner of the past three European Champions League competitions, surpassed second-placed Bayern Munich and third-placed Barcelona in the five-year coefficient used for the seeding. 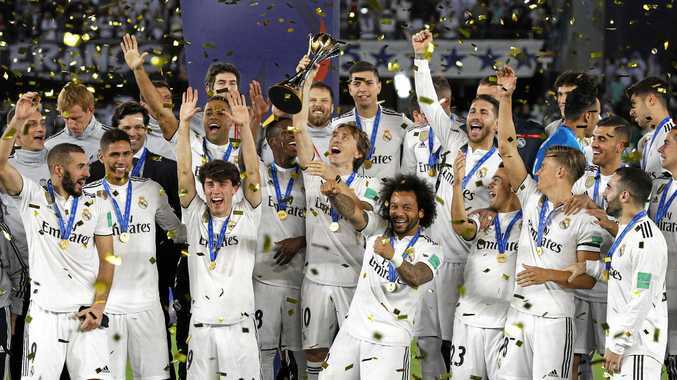 Real Madrid, which also won the FIFA Club World Cup last Saturday (local time), topped the rankings of the 10-year coefficient, used for the distribution of revenue, coming in ahead of Barcelona and Bayern, respectively. Atletico Madrid are in fourth in both the five-year and 10-year coefficient rankings. Spain's La Liga are also the top ranked European league over the past five years and in the current 2018-19 season. The English Premier League is second over the past five years, while the Italian Serie A is third. However, the German Bundesliga has pipped the EPL for third place in the current season. Real Madrid and the Spanish La Liga are dominating the most recent UEFA club and league coefficient rankings.